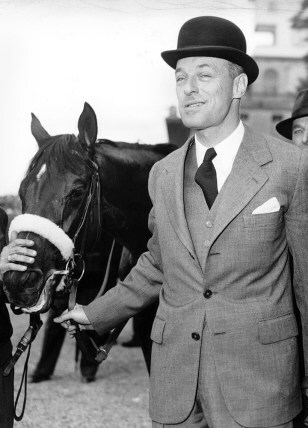 Baron Guy de Rothschild is pictured with his 5-year old filly ‘Cerisoles’ after it won the Prix de Diane on June 9, 1957, at Chantilly race course near Paris. Rothschild, who managed his family’s French banking empire, died Tuesday his family said. He was 98.